MIDA Assets Public Company Limited, a fast growing real estate developer in the hotel and resort industry, collaborates with Singapore-based Company Wellity Pte. Ltd. – an innovative corporation incorporating medical wellness into the hospitality industry. 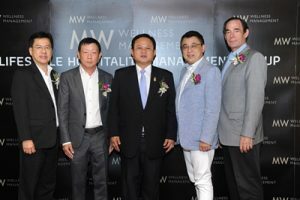 Both parties have come together to organize the first official press conference, “MW WELLNESS MANAGEMENT COMPANY LIMITED – a joint venture between MIDA and Wellity” with the introduction of “AKSORN RAYONG, THE WELLITY COLLECTION”, Rayong’s first and only Concept Hotel combining “Lifestyle & Wellness”. 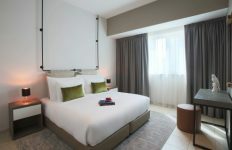 The hotel is fully-equipped with facilities of latest developments in well-being, with all the comforts and lifestyle conveniences of both international hotel standards and holistic health services. Wisood Ieosivikul, President and Managing Director, MIDA Assets PCL. and co-founder of MW WELLNESS MANAGMENT, revealed that the company strives to develop real estate and has become one of the top public listed developers in the country. “We are now ready to expand our horizons into new concepts that will further enhance our brands. The joint venture with Wellity, to create MW WELLNESS MANAGEMENT is a great opportunity for us to offer a new kind of service that differentiates us from other local and international chains.” Wisood elaborated. “We’ve invested over 20 million baht with Wellity Pte. Ltd. to set up “MW WELLNESS MANAGEMENT”, with over 1 billion baht budgeted to build “AKSORN RAYONG, THE WELLITY COLLECTION” fully managed by MW WELLNESS MANAGEMENT. Of which, an estimate of 35 million baht alone was pumped into the project specifically for wellness equipment and element fittings. Our business plan will employ active marketing strategies by emphasizing our unique strength. Wellness experience can be felt throughout the resort starting from the lobby, guest rooms, the Wellity wellness center, to food and beverage offerings. At AKSORN RAYONG, THE WELLITY COLLECTION, guests can indulge in a comfortable and carefree stay, while feeling good about their well-being.” Said Wisood. Mr. Anthony Jude Tan, CEO and co-founder of MW WELLNESS MANAGEMENT CO., LTD. and CEO of Wellity Pte. Ltd. disclosed that Wellity Pte. Ltd. was founded in Singapore and established in 2017. Created and fueled by a strong passion to always place holistic health at the center of conceptualization and designs, WELLITY was formed with the vision to develop and manage hospitality projects by synergizing and integrating aspects of Wellness and Hospitality. Wellity Pte. Ltd., is a premier hospitality management brand that creates superior and innovative wellness projects for hotels and resorts. Wellity has gained confidence among leading hotel/resort businesses, in various countries – predominantly Southeast Asia – by taking position as consultant and management. It’s an extraordinary level of success and achievement in less than a year. “Personally with 26 years’ experience in the hospitality industry, complemented with another 13 years’ in the medical wellness field and healthcare sector, I foresee many new and potential business opportunities for this joint venture in the hospitality wellness business. The collaboration to create MW WELLNESS MANAGEMENT is another milestone for Wellity Pte. Ltd. and MIDA Assets PCL. “MW Wellness Management namely has two brands at the current moment under its wing: “AKSORN”, an arts and cultural concept-theme hotel brand and “THE WELLITY COLLECTION”, an integration of medical wellness aspects based on evidence-research for hotels and resorts. “AKSORN RAYONG, THE WELLITY COLLECTION” is the first hotel combining the finest features of both “AKSORN” and “THE WELLITY COLLECTION” – resulting in a new and creative concept hotel. 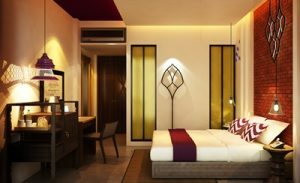 The resort is scheduled to open in August this year, with two more developments in the pipeline from 2019 onwards under MW WELLNESS MANAGEMENT: The Panora, a condotel located in Phuket and Tara Pathom, a traditional Thai House Villa project. Apart from Thai market, we have plans to expand our business to neighboring countries, an eventually international in coming years.” Mr. Anthony explained. As a visionary brand, following trends is not part of The Wellity Collection’s sentiments; instead we continually create new and innovative trends for the benefit of our guests. Our excellence in hospitality management and development focuses on our guests’ well-being, as the team is equipped with the know-how and skills in developing and operating wellness resorts and hotels. The Wellity Collection brand, beyond Thailand, is also present in Malaysia, China and Vietnam; with plans to expand to the rest of Asia in the coming years.” Said Mr. Anthony. “I’m delighted to be part of the MW Wellness Management’s founding team. The policy and vision of MW WELLNESS MANAGEMENT emphasizes on delivering truly unique and superior service for everyone. In addition, the company strongly believes in building close relationships with our business alliances while treating our environment, community and customers with consideration and respect. Our first resort under MW WELLNESS MANAGEMENT has been thoroughly and carefully designed from inception to offer “wellness meets hospitality” experience where rather than specialized “wellness retreats” with accommodation options, devoting equal emphasis to hospitality and health components. The resort, as with all upcoming Wellity Collection properties, paves the future in the hospitality and tourism industry by incorporating science-based wellness features into every facet of guests’ experience. AKSORN RAYONG, THE WELLITY COLLECTION is our first pride and joy.” said Mr. Vincent Tan, COO of Wellity Co., Ltd.
“Anthony, together with my expertise, agreed to bring medical innovation to the world of hospitality starting in Thailand, with this unique concept of “wellness meets hospitality” that merges well-being along with hotel and resort service excellence. Hence, he founded and established Singapore based company Wellity Pte. Ltd. (a subsidiary of AJT Holdings Pte. Ltd.), in 2017; in order to pursue and realize that vision. 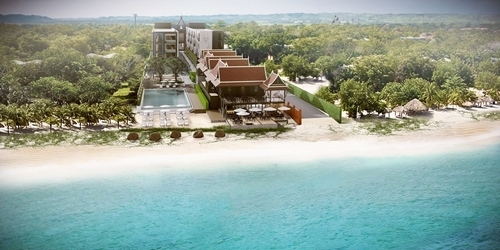 AKSORN RAYONG, THE WELLITY COLLECTION is the true beginning of The Wellity Collection properties and hotels that take the five human senses combined with the additional sense, termed as “The Wellity Sense” – addressing customers’ well-being needs formed on the basis of evidence-research. Various programs that guests can look forward to at the resort’s wellness center are backed by evidence and science-based research, conducted by certified physicians and practitioners. For example, the Wellity Center’s Ozone Infrared Therapy is a deep penetrating heat that promotes sweating at lower temperatures. It absorbs easily and can aid in improving your body’s circulation and detoxification. Ozone therapy is used for its ability to neutralize bacteria and viruses. The two principles are combined in a personalized pod for users to relax in. Thus, I believe that AKSORN RAYONG, THE WELLITY COLLECTION will be one of the most unique and refreshing accommodation experiences our guests will ever have.” said Dr. Mark L. Gordon, Lead Medical Director of Wellity Co., Ltd. Strategically located along the Laem Mae Pim eastern coastline in Rayong, the resort comes as an answer to the Thailand 4.0 strategy on land development, leveraging on the success of the government’s Eastern Economic Development Plan and Eastern Economic Corridor (EEC). AKSORN RAYONG, THE WELLITY COLLECTION, a brand new concept resort, sets itself apart from any other property chain along this well-known seaside destination, by being the only one to offer guests an arts and culture themed resort, all while effortlessly integrating well-being throughout the resort’s environment and services. Combining the latest developments in well-being with all the comforts and conveniences of a global hotel, Aksorn is where “Wellness Meets Hospitality”. And this, moreover, amid surroundings wholly inspired by Thai art and culture, reinterpreted through Western neoclassic design principles. Indeed, the coastal community of Rayong is known for its artistic heritage, notably a connection with one Thailand’s greatest poets, Soonthorn Phu, who lived during the Rattanakosin period (A.D. 1786 – 1855); and whose father was from Rayong. He was Thailand’s best-known royal poet, renowned for epic poetries which are still popular today. Wellness tourism and quality holiday experience with the distinct ambience of Thai contemporary architecture have been embellished with the creative mixture of literary works and technological innovation. It conveys both meaning and aesthetic value of art to audiences mind; and harmoniously integrates well-being aspects into the well-built environment that is beneficial to the human body, contributing to the betterment of overall good health in the long run.